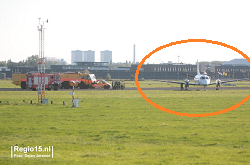 The aircraft rolled off the side of the runway at low at Rotterdam-The Hague Airport , Netherlands. 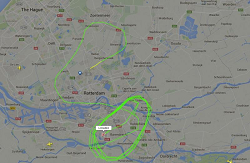 Soon after departure from Rotterdam the pilots radioed hydraulic problems and elected to enter a holding pattern to work out the appropriate checklists. 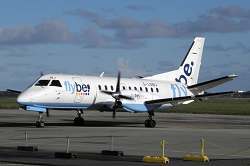 About 45 minutes later, a safe landing was carried out on runway 06, however the aircraft – after coming to a complete stop on the runway- continued to taxi but then directional control was lost. 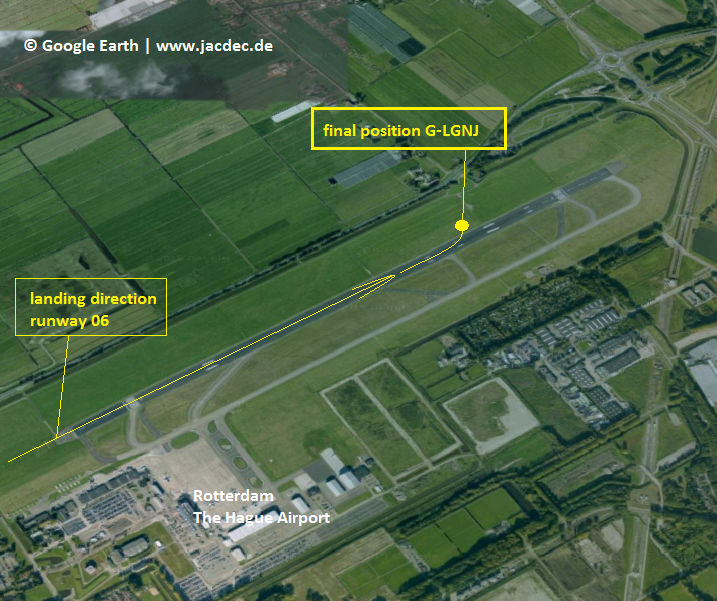 The Saab 340 veered left until it came to rest with all undercarriage on the grass a few meters further. All on board remained unhurt.